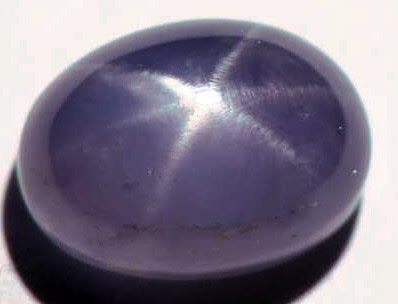 The star in a sapphire and ruby shows a 6 point or very rarely even a 12 point lighting star. 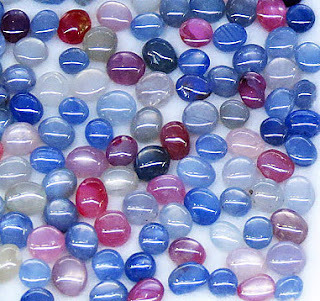 Jewelry with star sapphire gemstones is something special, although it is mined in the Mogok area in Myanmar but the real dealing is going on at Chanthaburi Thailand. The precious stones show a star effect when exposed to a pointed light source or normal daylight. If the light source has the other form it won’t show. Usually, there is a six ray star but very rare 12 ray sparks have been seen. If you are on a slim budget an alternative would be to buy the precious item with synthetic sapphire rings, these stones are physically similar to the normal gem, actually even better because they don’t have inclusions and the color can be manipulated. They are much less expensive and it is not visible to anyone unless someone has a trained eye and a big magnifying glass. Many people buy those items, have some diamonds around and it is a perfect sapphire diamond ring. By using temperature the gem can get different colors this is the same with rubies, sometimes the producer enhances the stones by a heating process which makes the stone more saturated and brilliant too. If it is made is must be declared to the customer because if this precious item is sold again and carefully inspected the enhancement show up and the price drops dramatically. In general, when buying any sapphire rings for more than about $ 1000,- have the item checked in an independent lab because lots of dirty tricks are going on in this business and don’t believe any certificate or talking of the sales person, that only sound and smoke. Actually, it is a common problem with all these precious stones, they are found somewhere when they are moved out of the production country not much value is raised. After the stones left the country to let's say for Thailand, India, Europe or Israel the prices made a jump upwards and people in those countries make the real profit by cutting and polishing them. The color of a blue sapphire result from an entirely different mechanism than of rubies the process is known as intervalence charge transfer. Involved in this are traces of both titanium and iron. The mystery of the magnificent blue color was not discovered until recent times. Auguste Verneuil, the “father” of the synthetic ruby discovers that titanium and iron were responsible for the blue color but the mechanism involved eluded detection until much later. Some titanium in corundum produces no color whatsoever while the same amount of iron imparts only a pale-yellow color appears. However if both iron and titanium are present together beautiful deep-blue color results. Iron and titanium both substitute for aluminum in the corundum crystal structure.